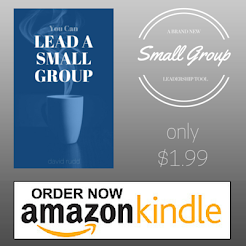 The Big Ideas for Small Groups blog has identified these different types of people who can derail your discussion. At the end are several questions. Take the time to share how you would handle these in the comments. This can be beneficial for everyone. Monopolizing Mike: Mike talks from the moment he enters the room until the moment he leaves. He shares the same stories over and over whether they are relevant to the subject of group time or not. When Mike begins to talk, the group settles in for the long haul and appears bored and restless, and often the energy is drained from the discussion time. Shy Sherry: Sherry seldom shares in small group time. She has trouble looking people in the eye when she does talk. She attends group regularly, but the group members know very little about her, because she has not opened up in group time. It is easy to forget that she is even there. Annie the Advice Giver: Annie knows what everyone should do, and is looking for opportunities to share her advice. Often when a group member shares a struggle, Annie will immediately say, “you SHOULD ______.” Although Annie desires to be helpful her advice is usually unsolicited and simplistic. Put Down Patty: Patty criticizes people in group and out of group, especially her husband. As soon as he says something in group, Patty will say, “that is ridiculous!” He feels embarrassed and then it is a long time before he opens up and shares again. Crisis Chris: Chris is always in crises. He comes to group looking sad and lonely and as soon as someone reaches out to him he shares his most current crises. He gets upset when the people of the group don’t help enough or in the right way. No matter what attempts they make, the group cannot seem to do right by Chris. What kinds of things would you do while facilitating this group? What preventative measures could you put into place that would help the facilitation of a group with a difficult personality?